We hate lists, which have told us what to do since at least the days Leonardo da Vinci, and which now, as "listicles," constitute one of the lowest strata of internet content. But we also love lists: a great many of us click on those listicles, after all, and one might argue that the list, as a form, represents the beginning of written texts. 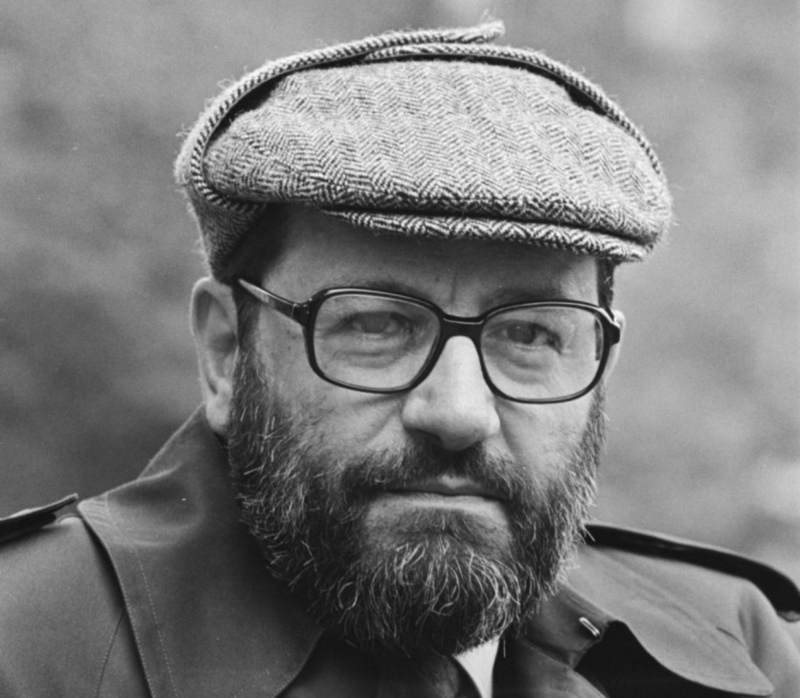 "The list is the origin of culture," said Umberto Eco in a 2009 Der Spiegel interview about the exhibition on the history of the list he curated at the Louvre. "It's part of the history of art and literature. What does culture want? To make infinity comprehensible. It also wants to create order — not always, but often." How, as mere human beings, do we impose order when we gaze up into infinity, down into the abyss — pick your metaphor of the sublimely, incomprehensibly vast? We do it, Eco thought, "through lists, through catalogs, through collections in museums and through encyclopedias and dictionaries." The breadth as well as depth of the knowledge he accumulated throughout his 84 years — which itself could seem sublimely and incomprehensibly vast, as anyone who has read one of his list-filled novels knows — placed him well to explain the origins, functions, and importance of the list. In the Spiegel interview he names Don Giovanni's 2,063 lovers, the contents of Leopold Bloom's drawers, and the many ships and generals specified in the Iliad as just a few of the classic lists and enumerations of Western culture. Eco's research into and/or obsession with lists produced not just the exhibition at the Louvre but also a book, The Infinity of Lists: An Illustrated Essay. Did it also lead him to any other answers about why, whether in the Middle Ages with its "very clear image of the universe," the Renaissance and Baroque eras with their "worldview based on astronomy," the "postmodern age" in which we live today, or any other time, "the list has prevailed over and over again?" Ultimately, we make lists whenever we experience a "deficiency of language," such as when lovers describe one another ("Your eyes are so beautiful, and so is your mouth, and your collarbone") or when we remember the "very discouraging, humiliating limit" of death. Making lists of things that seem infinite is "a way of escaping thoughts about death. We like lists because we don't want to die." Having died in 2016 himself, Eco left behind an immense personal library (his walkthrough of which we've previously featured here on Open Culture). "It might actually be 50,000 books," he said to the Spiegel interviewer, but he refused to put them on a list and find out for sure: "When my secretary wanted to catalogue them, I asked her not to. My interests change constantly, and so does my library." If he were to try to list his interests, he would have had to keep scrapping the list and drawing up a new one; more than providing abundant material for his writing, this constant and lifelong circulation of fascinations (he mentioned first loving Chopin at 16, and again in his seventies) confirmed his engagement with the infinite world around him: "If you interact with things in your life, everything is constantly changing. And if nothing changes, you're an idiot." Ahhh, but how interesting would be a list of his lists. The progression of Eco’s interests would no doubt be fascinating.